Bottega is a flexible and easy to use theme for restaurants. It has easy menu management so you don’t have to upload PDF’s of your menus anymore. It’s easy to customize with your own logo, colors and style. 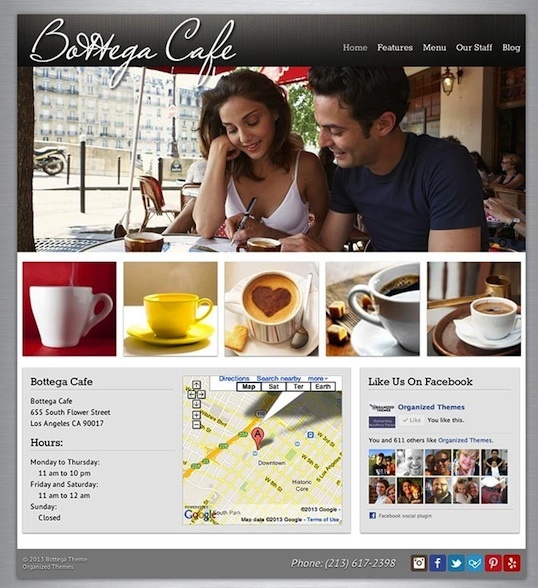 Features include Google maps, menu cards, scrolling featured image, social media integrated, and more.